2015, steel, aluminum, concrete, re-purposed glass globes tube, 8½ feet by 3 feet by 22 inches. The ½ inch thick glass globes were re-purposed from an old Michigan factory. 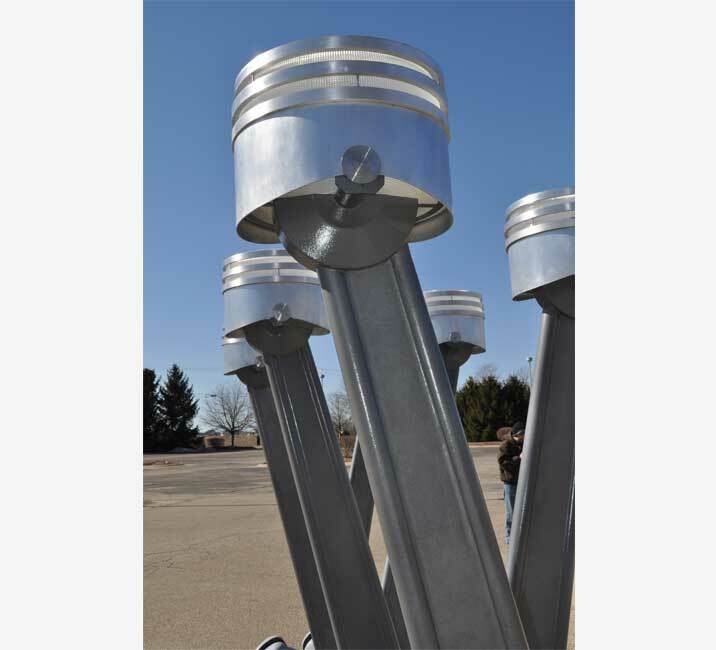 These were clad with aluminum rings and skirt and rewired for high efficiency fluorescent lighting. The steel connector rod form was fabricated from C&C laser cut components and powder coated. 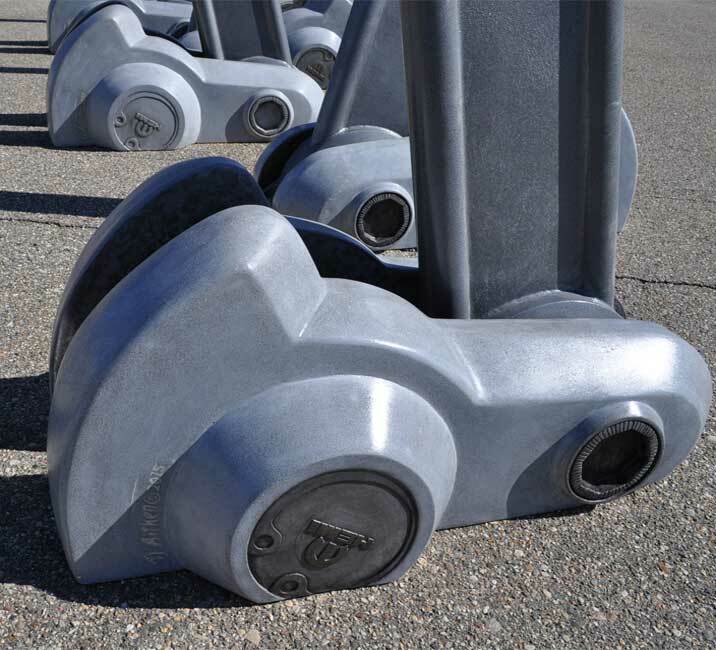 The crank shaft cams at the base are cast concrete. 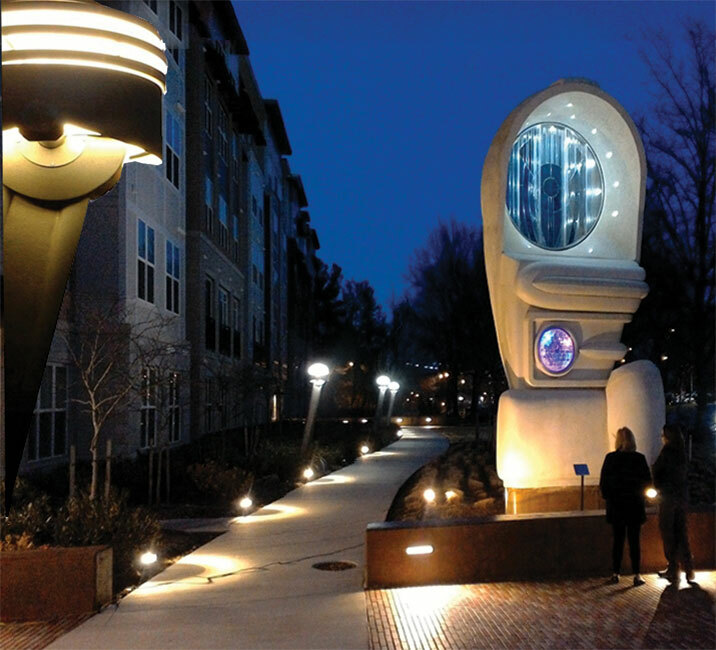 A set of five lamps were installed in Rockville, Maryland on the Light Dodger project along the walkway very near the Shady Brook Grove Metro Station on the Red Line linking Washington, D.C. The main photo is in Michigan at a test facility. An additional edition of 8 lamps are planned. 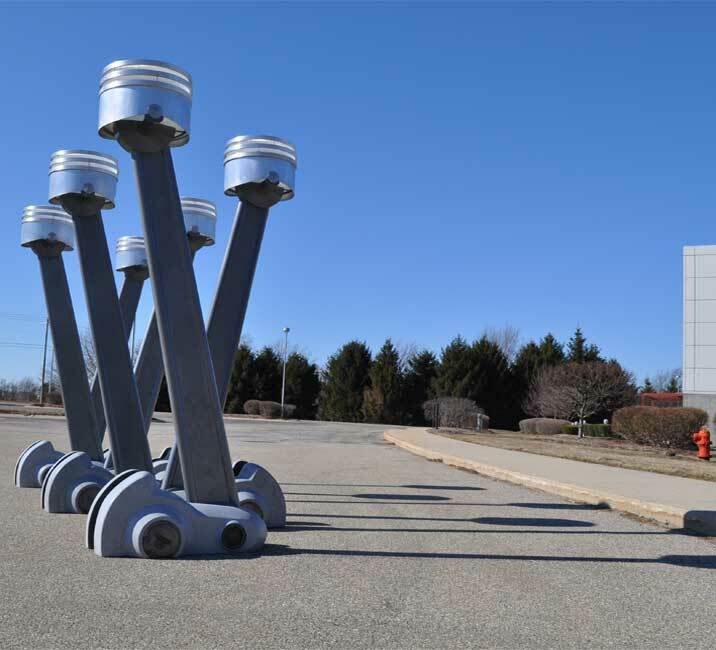 When the Bainbridge company wanted designs about Dodge cars for the Shady Brook development they specifically wanted studies about the famous dodge engines. TJ did a series of designs for sculpture, architectural ornaments and furnishings for the project. 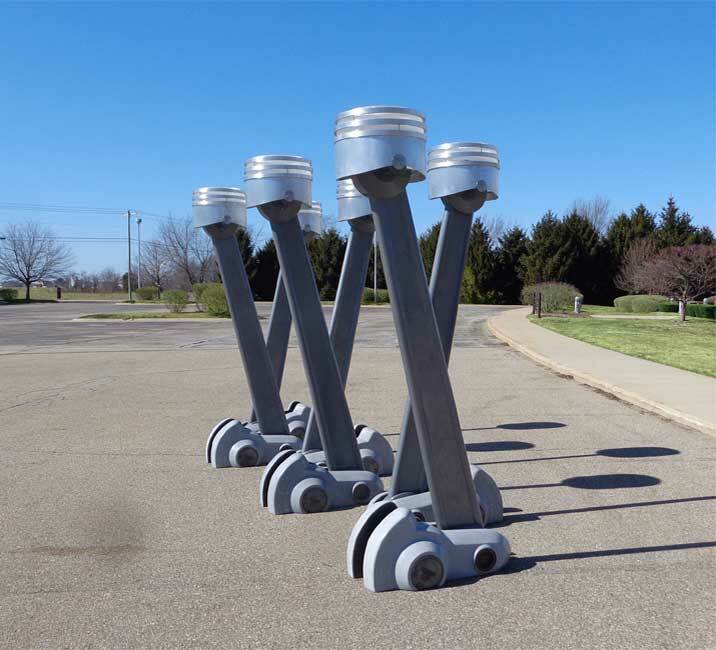 Though the "Light Dodger" was chosen for the main sculpture, they said the Hemi Lamps were just too cool and had to be included. 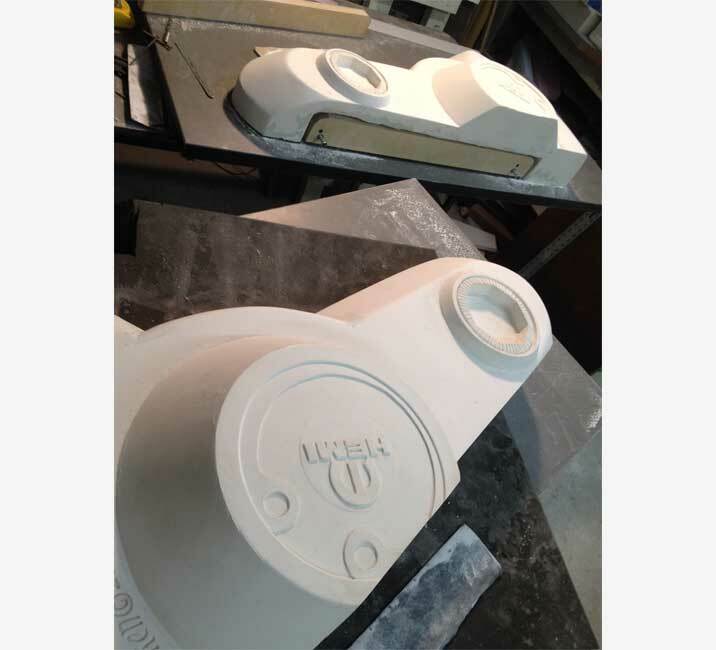 Tj modeled the Cam base and created molds for casting the concrete pieces, and CAD files were produced for the metal components. An original group was fabricated in 2015. These were set up in the "Six Pack" configuration for documentation when they were finished. There are accompanying designs for benches, wall sconces and bile racks that were not used on the project. 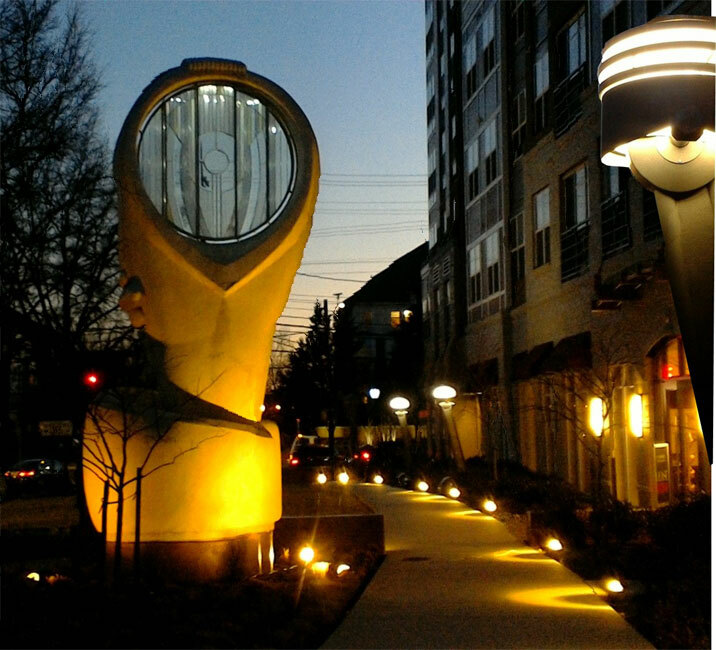 Background: Designed as part of a proposal for the Shady Grove complex in Rockville, Maryland with functional furnishings based on Dodge engines, these were selected to line the promenade.